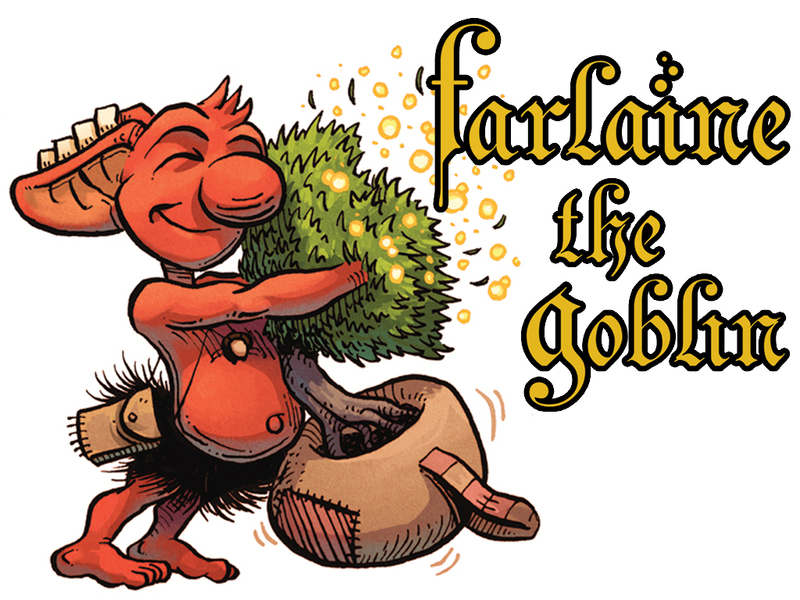 After years of work and 6 other books, the climactic finale to Farlaine the Goblin hits stores today! The 64-page finale crashes Farlaine into a land that's up for grabs! Whoever can collect the biggest pile of somethings can claim the land! So it's a mad rush for Farlaine and Drowsy to throw their hat in the ring. The books can be found in cool local comic shops that like indie books, or on farlaine.com(I can sign and doodle these!) or even amazon.com. I'll also be at the Baltimore Comic Con this coming weekend (Sept 28-30). This 7th and final book marks the end of the series, a 300+ page adventure that took me more than 5 years to complete! And there's still plenty more to do still! What else now, you may ask? I hope you enjoy the end of the series! Final Reminder! Pre-Order Book 7 Now! 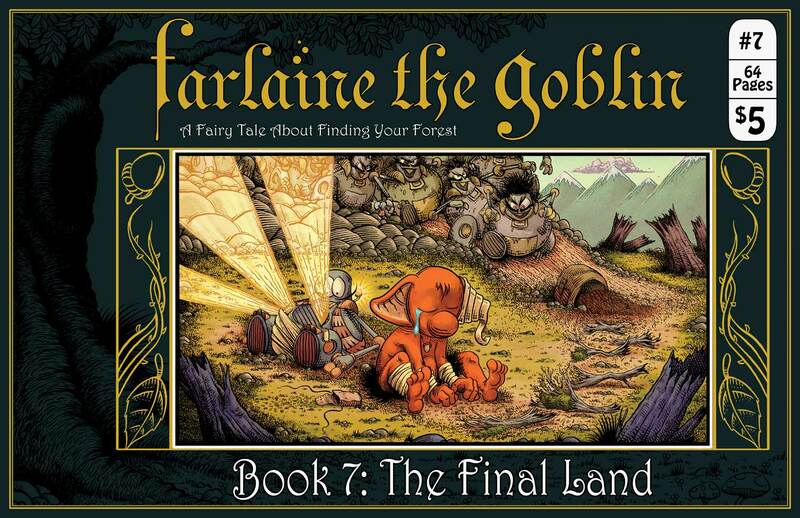 Farlaine the Goblin ~ Book 7: The Final Land is available for Pre-Order RIGHT NOW! Call or visit your local comic shop this week and tell them you'd like to preorder a copy(Diamond Code: JUL182154)! If you order 3 copies, 1 of them should be the David Petersen variant cover! NOTE: Websites may keep the variants. You can order from farlaine.com if you want to be sure to get one! The book will hit store shelves September 19th!! Enjoy! Book 7 is Available for Pre-Order! With a David Petersen variant!! BOOK 7: AVAILABLE FOR PRE-ORDER! Starting next week, Farlaine the Goblin ~ Book 7:The Final Land, the climactic finale of Farlaine the Goblin, will be available for pre-order! Below is a sneak peak at my cover for the book! I tried to get all artsy with leading the eye in a spiral to pull you through all the story elements. This piece also dovetails very nicely with the original cover for Book 1, which had the Tinks of Orn chasing Farlaine off the page! I held off on releasing Book 6 for a few months so that I could get further along on Book 7, which means that while Book 6 hit stores last March, Book 7 will be close behind it, hitting store shelves in September!! Even better, it'll be available for pre-order starting next week and throughout the month of July! Be sure to order a copy at your Local Comic Shop, or online at sites like MidTown Comics! What makes this book even cooler though is that it's also going to boast a variant cover by one of the best all-ages artists in the industry, Mouse Guard's own David Petersen! Here's a sneak peek! What's great about this piece too is that David redrew EVERYTHING. The nested layout of the cover, the tree on the left, even the titles! Stellar work. I especially loved his take on Drowsy the Tink. Not only is his design wonderful with the huge mustache and the pimpin' Liefeld-like shoulderpads, but he really nailed his sense of worrying, both with his clasped hands and his inward pointing feet. His Farlaine was also amazing with that huge acorn and a very fluffy grass skirt! Overall I was thrilled with his work on this!! David Petersen's variant will be mixed into orders for Book 7 at a 1:3 ratio, meaning if you order 3 copies, 1 of them will be David's variant. Pre-order the books ahead of time at your local comic shop to be sure to get your copy. I know some of the online places like to keep the variants to try to flip them later, so be careful. You can also always order copies direct from farlaine.com, while supplies last. And as with all other variant covers, this'll be printed on some fancy pirate paper that will look and feel far cooler than most comics! With this final cover, it also means the series ended with variants by David Petersen, Skottie Young, Charles Paul Wilson III, and Larry MacDougall, which truly blows my mind! What a group!! Thanks guys!!! The last few months had a few conventions mixed in, starting with C2E2 in Chicago back in April and two great local shows with the Plastic City Comic Con in Leominster, MA and Kids Con in Nashua, NH. All 3 shows were great fun and I sold more books than I had ever! C2E2 now boasts my single best day of sales with Kids Con coming in a close second, beating out such heavyweight shows as NYCC! To finish up the year I'll be at the Boston Comic Con/Fan Expo Boston in early August, followed by MICE(Massachusetts Independent Comics Expo) in September, and the Baltimore Comic Con in October! Then for 2019, with the complete series in hand, I hope to start hitting more cons I've never been to before, especially toward the west coast I've never made it to, as well as returning to place I haven't been in a while like Heroes Con. Gonna be a fun year! 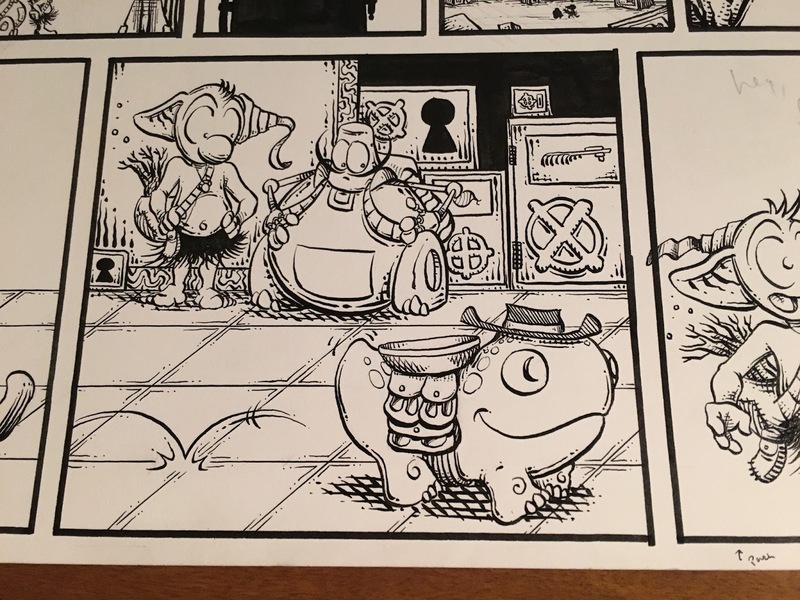 In the past I didn't sell much original art from the series, with only a dozen pages from Book 4 slipping out during the Kickstarter. Since then I've gotten a little more open about it, giving pages to friends and family who helped and supported the book. I've consigned 10 pages to Gallery Laqua in Europe, and have even started to post a few pages for sale on ComicArtFans too. Book 6:The Winglands In Stores Today! Farlaine the Goblin ~ Book 6:The Winglands hits store shelves worldwide today! Books are available in cool local comic shops, as well as listed on Amazon Prime, Amazon Kindle, and on this very website where I'll happily sign and doodle in them for you! 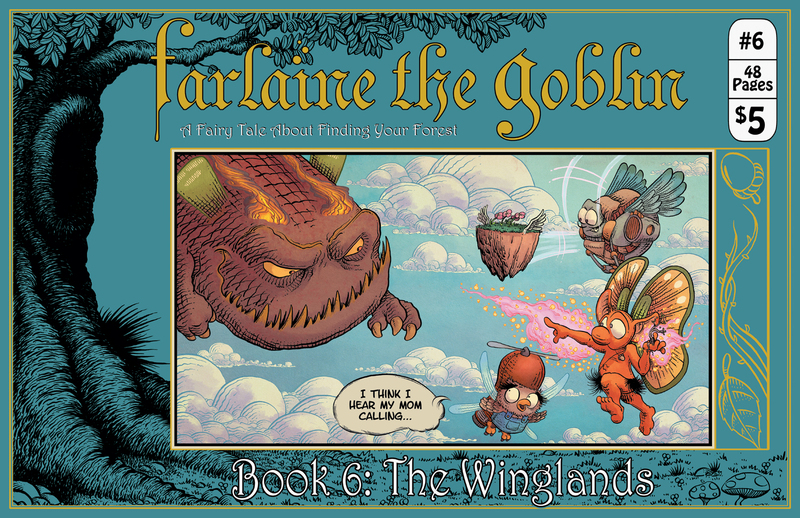 The latest adventure of Farlaine and friends comes in at more than 40 pages of wing flapping fun! 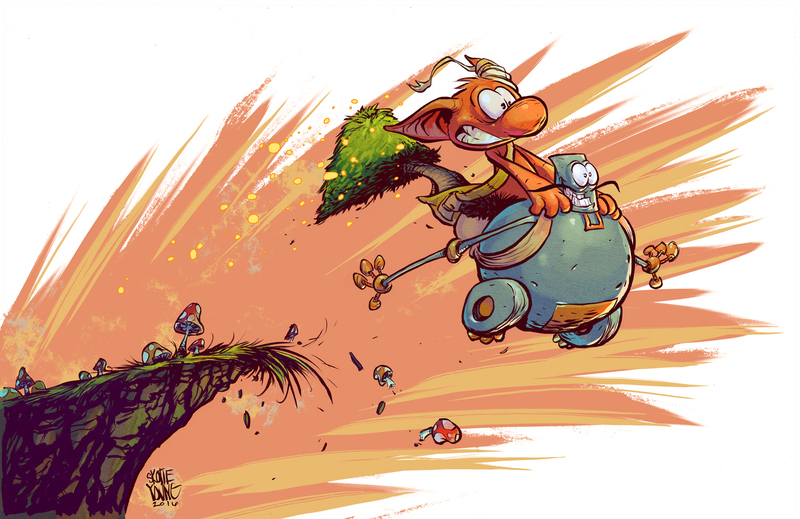 "Farlaine the Goblin travels up to The Winglands, a flying land where everything grows wings! From butterfly wings to fairy wings to grasshopper wings, this is a land full of flapping! But when Farlaine finds a potted forest in the sky, is this finally his chance? The second to last volume of the series!" 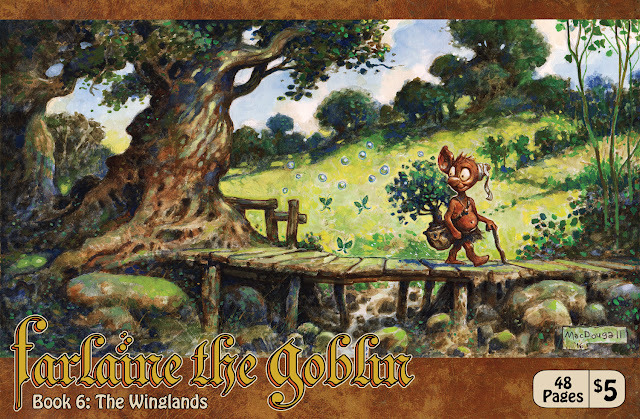 This book also ships with a 1:3 variant by the great painter Larry MacDougall! Book 6:The Winglands hits stores March 28th! Book 7 is half done! C2E2 in April! First and foremost, Book 6:The Winglands, will hit store shelves on March 28th! Book 7, tentatively titled "The Final Land", is well underway. 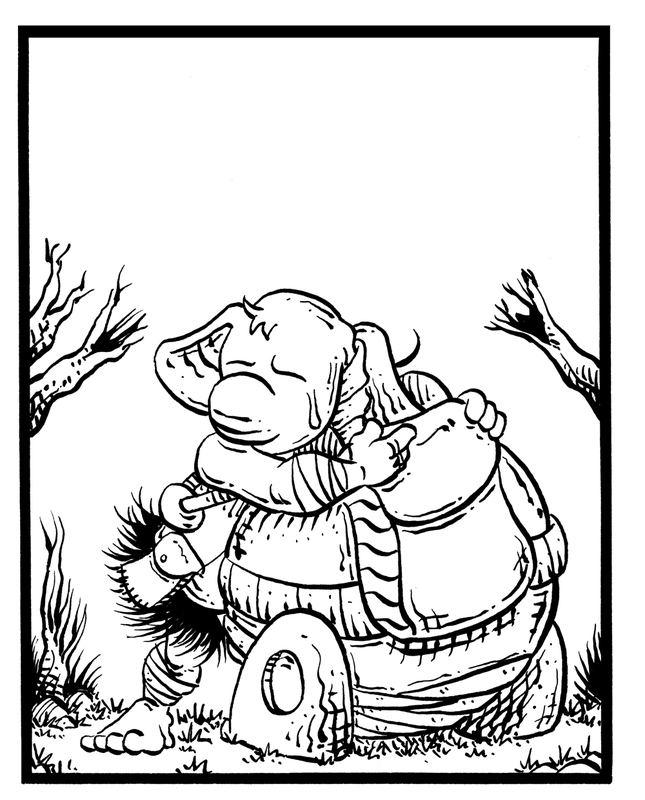 I've finished drawing the first 18 pages and am planning to solicit it in April if things go well. This would mean it would be in Previews in June and hit stores in August! And, best of all, I've got a very exciting artist lined up for the final variant! This is actually a change from earlier plans too - the original artist vanished on me so I had to scramble to find someone else, but as luck would have it, my original top pick, first choice of all(above even Skottie Young!) somehow had time in their schedule!! 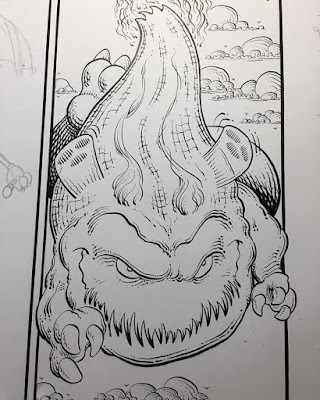 I'm still not saying who it is because I don't want to jinx it, but I'm confident he'll deliver an epic final cover for the series. And finally, as 2018 rolls around to the spring we enter convention season! I'll be at C2E2 in Chicago April 6-8, Plastic City Comicon in Massachusetts April 21, Kids Con New England in NH on June 10, plus a few more TBD later in the year. Most likely Boston(as usual) and NY, with a chance at Baltimore, SPX, and a few others. It all comes down to when Book 7 gets released and which conventions let me in:) My goal is to do the fall with the full series in hand! And then in 2019, maybe I'll head further west and finally hit the west coast. We'll see. If anyone has any requests, feel free to ping me! 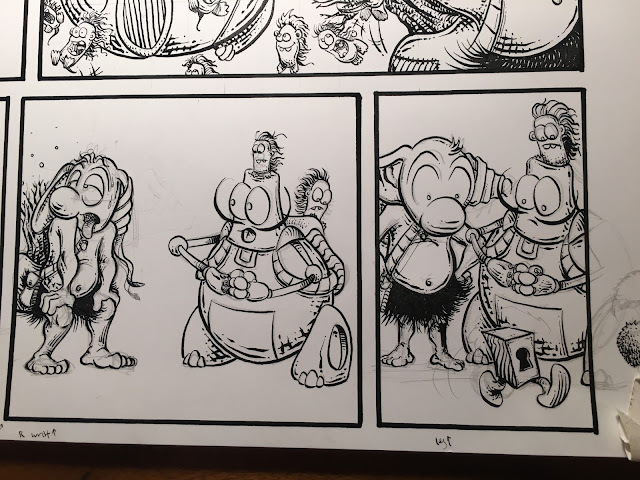 OK, now back to work drawing Book 7! Book 6, the Boston Comic Con, SPX, and the final stretch run! The Boston Comic Con is coming up this weekend, August 11-13, and I'll be there set up at AA710. 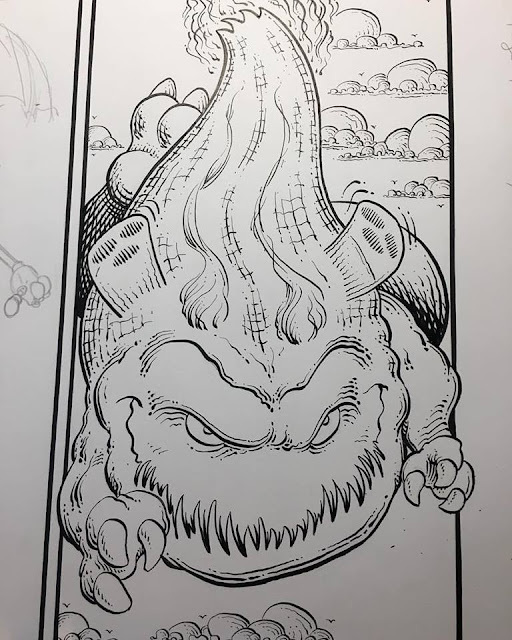 I'll have books, stickers, prints, and more, including the Book 5 Skottie Young variant, the Book 4 Charles Paul Wilson variant, and a bunch of the original art to Book 6 you can flip through. I'll also be heading down to Maryland for the Small Press Expo, SPX, for the first time on September 16-17. I hear great things about it and it seems like an audience that's interested in something a little different. No other conventions are planned for 2017, my focus instead on getting the series finished by the end of the year. If I can manage that, then 2018-2019 will be a world tour of sorts with the finished series, where I try to get back to all the major conventions I've hit since the beginning. Boston, NY, Baltimore, Heroes, C2E2, KidsCon, MeCAF, MICE, and ideally add a bunch more to the west. I was even talking to a friend about trying the Helsinki Con one year! But for now the focus is on getting the series done. 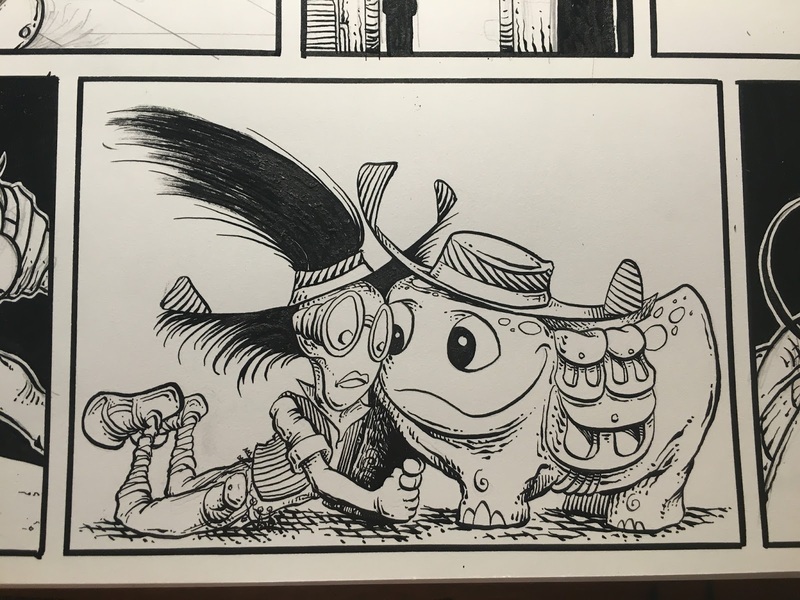 It's been a busy few months, finishing up Book 6: The Winglands. A few distractions and reshoots required for the end of Act 3. I think it's coming together OK.
Then it's immediately on to writing Book 7, the culmination of the series! Lots of plot points and tidbits to tie up, lots of questions to answer. I think I'm going to have way too many ideas to cram into this, so it'll probably either be a very long story or very, very dense! I'll leave you with a fun panel from the new book, The Winglands! Book 5 Hits Stores Today! Now With a Pen Name! Farlaine the Goblin ~ Book 5: The Vaultlands hits store shelves today! Pick it up at your local comic shop, here on farlaine.com, and soon on Amazon! 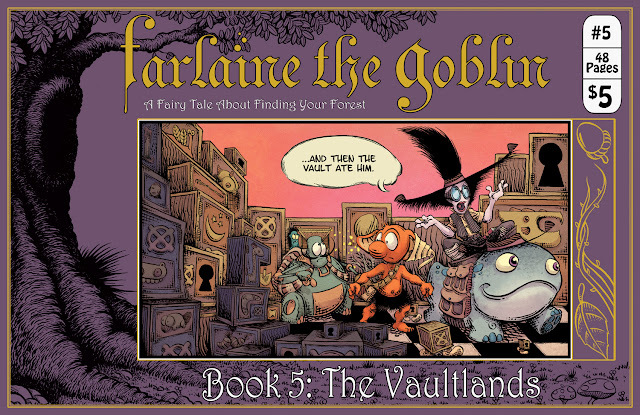 Farlaine's latest adventure through The Vaultlands is one of the more background-intensive stories I've done, but hopefully you enjoy it! 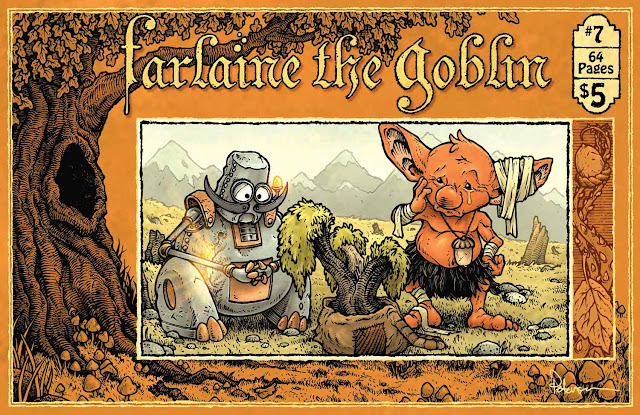 There's one thing though that may stand out for readers of the series - Farlaine the Goblin now has an author listed! 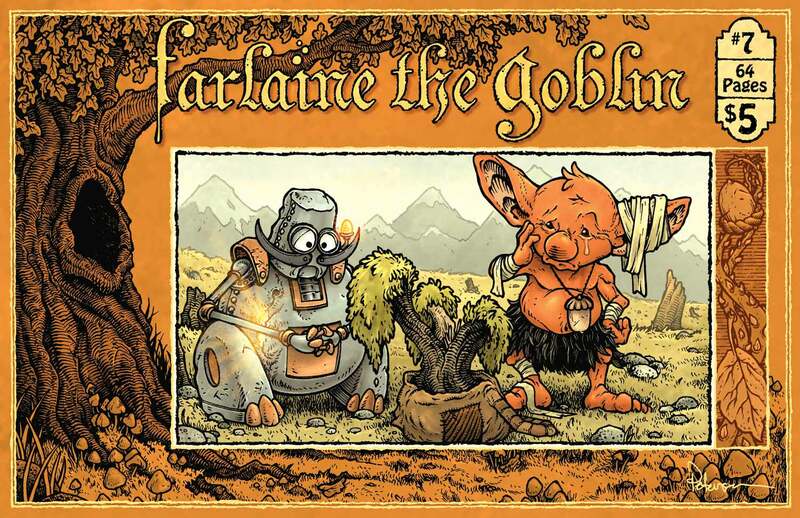 For anyone that's followed and read Farlaine the Goblin over the last few years, the one thing most people notice is that there is no name listed in it. It's simply a story, presented as it exists. No credit, no author, no illustrator. This was always done for a variety of reasons, but at it's core there were two main ones. First and foremost, I wanted people to read the series as it is. Don't let the author's name influence you. Regardless of my experience, gender, age, race, or anything else you may guess from a person's name, the idea was to let people simply read the series on it's own merits. But the second reason was also a lot simpler - I like my privacy. I could care less about celebrity, and on the off chance the series had succeeded, I didn't want to lose that. So I'd always planned to have a pen name. But a pen name is not an easy thing to decide on. A pen name is an alter-ego that the world sees and judges you on, and in many cases the pen name is remembered far more than the real person. It is often the first exposure someone has to the work, and it can be used to even convey a personality. While most people know Mark Twain was a pen name for Samuel Clements, not as many seem to realize the long list of actors whose pseudonyms have been used for decades. Chevy Chase, Natalie Portman, Jon Stewart, Jamie Foxx, and on and on. 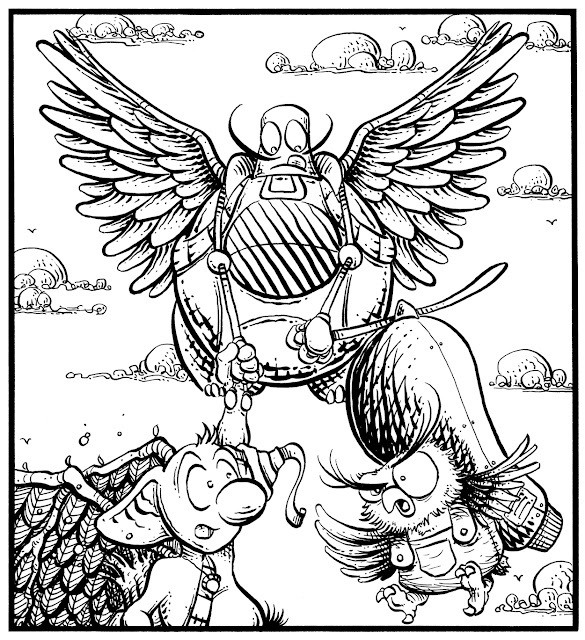 In comics there are plenty as well, from Frank Quitely to Moebius and Peyo and Herge. A name truly matters too. We often don't give it the credit it deserves, but for every Zach Galifinakis that succeeds, there are twenty others like Demi Moore and Cary Grant whose names are unique and simple and easily absorbed. A simple name helps build an audience and be memorable. Some people are simply born with great names, like Stephen King or Ridley Scott or Jeremy Bastian. Most of us fall somewhere else, with names that we may be proud of, but which don't roll off the tongue or illicit the kind of remember-ability you'd like. So I thought and I pondered and I made a great many lists. I spent quite a few years trying to come up with one I was happy with, starting long before the first issue of Farlaine was ever written. But I never came up with anythying I liked. So Farlaine was released with no name on it, lest I use one I would grow to hate and be stuck with. There would be nothing worse than choosing something over a weekend and regretting it for decades! 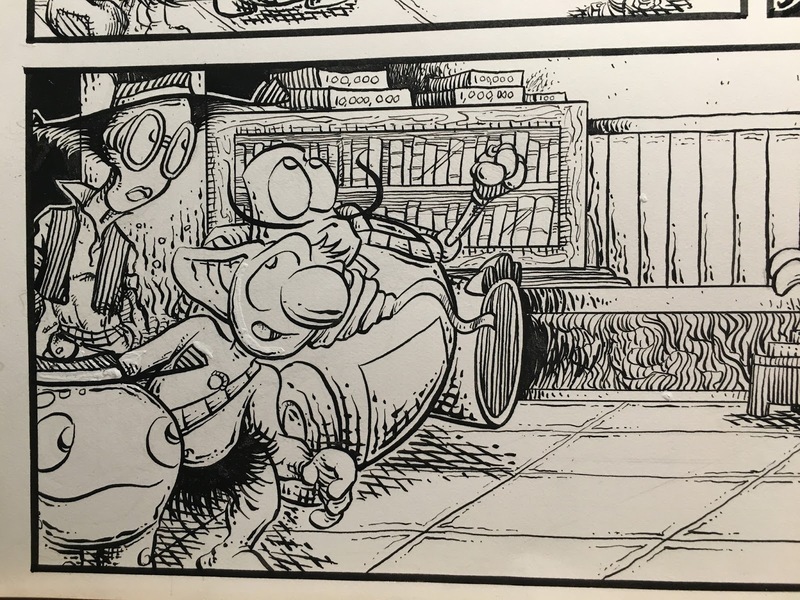 And so I thought and I pondered for years while I worked on the comics, and the books continued to be released anonymously. It was quite fun to see how people reacted to it, and it ranged from curiosity to entertainment to downright anger. There were some people who were actually offended by my series being anonymous! My plan was always to do more than comics though, so it had to be something equally marketable to novels and movies and whatever else I may one day find myself in. I had some interesting ideas that sounded cool but fell apart over time. Things that seemed neat, but were not remotely "me". I liked the name John Gotham as a simple, straightforward 'cool name'. It had that Batman and NYC vibe to it, which while awesome and cool, also seemed horribly out of place for a person like me who hates cities. The years passed and ideas moved around, and I continued to make lists and throw them out, until I eventually came up with a name that I quite liked. You see, I have a little pug dog, a cute and squishy thing, and her personality is very similar to my own, silly and clownish and comical. Pugs are a unique breed too in that they have their own word for a collected group, outside of a pack or a kennel. A group of pugs is known as a grumble. So with Mark Twain bouncing around in the back of my mind, I realized that Pug Grumble was a name that somehow suited me quite well. Is it silly and ridiculous? Absolutely! But it also feels accurate and true to the kinds of stories and humor I write. I sat on that name for the last 3 years, letting it sit and percolate. I mentioned it to a few friends, most of whom rolled their eyes and called me an idiot. But I decided that, idiot that I am, I wanted to be the idiot who was happy with their strange name. So that was that, and with Book 5 of Farlaine the Goblin, it's finally out there in print. I'll continue to sign books with the same signature, and I'll continue to use the letter j to sign any covers I work on, but at least in the credits, it will simply be listed as Pug Grumble. In my mind the J is an initial never seen, and the longer pen name could even be J. Pug Grumble. So there you go. A new pen name to go along with a new book. 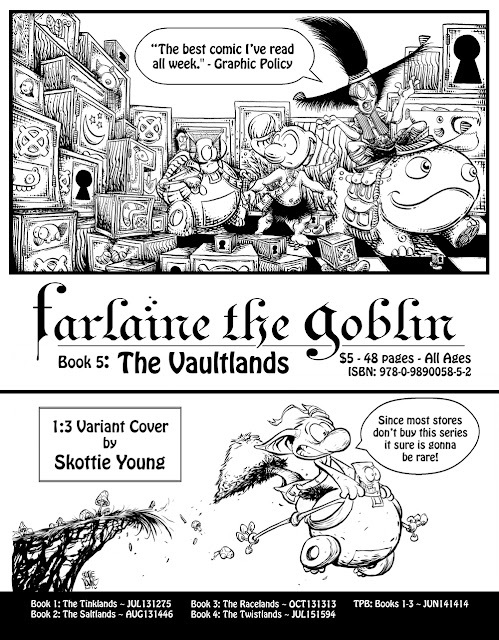 Now go out and buy a copy of The Vaultlands! Book 5 is in Previews! Book 6 is written and being drawn! OK, I'll admit it, I'm horrible at updating the website! Between the website, Facebook, Twitter, Instagram, and Kickstarter there are a lot of things to do that take away from the actual producing of a book! And being a one person(and one pug) act, there's only so much time and lots to do! But enough with the excuses - this is an exciting update!! Because Farlaine the Goblin ~ Book 5: The Vaultlands is solicited in the March issue of Previews! 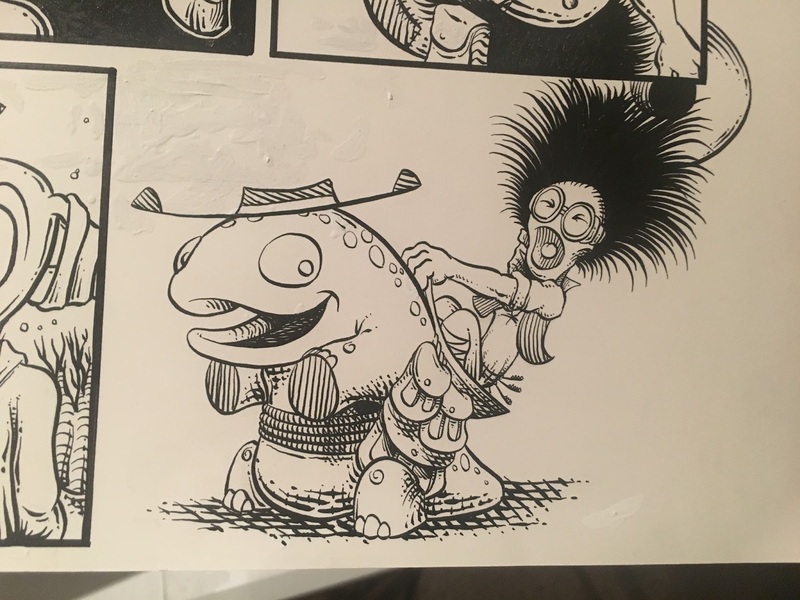 I have a spiffy ad on page 407 that makes mention of the coolest part of this book too - I have a variant cover by epic-cover-god and iconic-hat-wearer Skottie Young!! This took me 3 years of bribing and cajoling to get, so hopefully it helps sell a couple of extra books(it's mixed in at a 1:3 ratio with my cover, so it should be easily attainable for Skottie's fans!). So please please please, if you dig the series and want to support it, contact your local comic shop and ask them to order it for you! The Diamond Code is MAR172021 and every issue helps! I'm also hard at work on Book 6: The Winglands! I wrote the script in January and started drawing it mid-February. 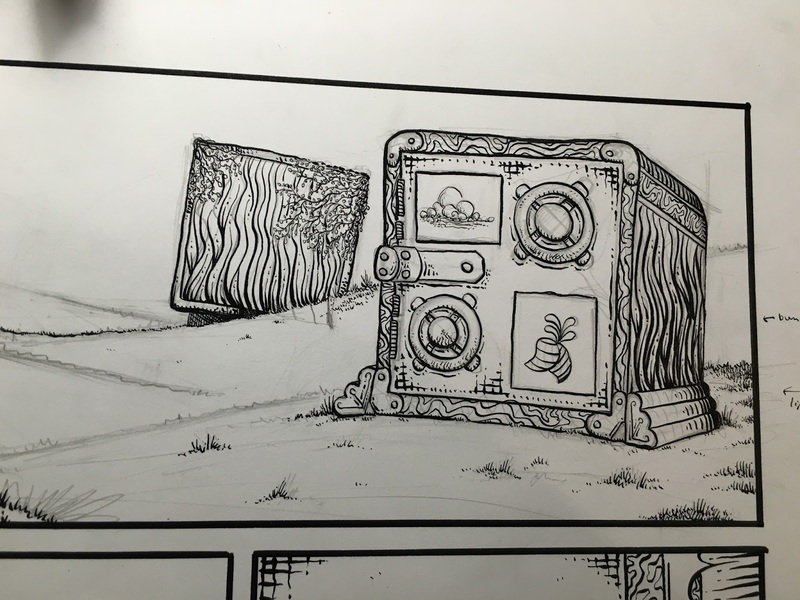 I'm inking page 5 right now and hope to keep this book a little shorter than the last, maybe around 35 pages. So far so good! OK, now back to the drawing board(literally!). Book 5: The Vaultlands is complete!! OK, I'm a bit late on this update, but it's because I was determined to finish Book 5 before writing again, and I'm happy to say it's finally done! 44 pages before editing, so it came out a bit longer than I'd expected. I'm working on getting it into InDesign today and then printing off and reading a copy with first-time eyes to see how bad it is. I expect much editing will still be needed(like all the previous books), but at this point it shouldn't slow down the release of the book! Book 5! 44 Pages of Farlaine! I'm working on the cover right now, trying to come up with the right layout and design, then I'll draw it. I hope to finish it and get it off to the colorist so I can make the mid-January distributor cutoff date. If I do, then it would appear in their Previews catalog in March and hit stores in May. Horribly long lag, I know, but it's also why I wanted to have the book done before I started. My hope from here is that I will solicit Book 6 and 7 before they're complete, so ideally the books all come out in 2017. Sorry I wasn't faster, but I didn't want to rush something subpar out! Book 5! An inch thick of inked pages! So that's where I'm at! 44 pages done, 2 books to go. Money is running lower, but I have a plethora of duplicate organs that I expect should be easy to sell, so no worries, Books 6-7 are coming!! I'm hoping Book 6 comes in a bit shorter, maybe a 30-35 page yarn, but book 7 I honestly don't know what to expect. It could be 35 or 55, I'm not sure! The last month has been a nice trucking along on Book 5, doing some big rewrites of the script as I progress through the drawing. I had some new character designs that took some time to figure out and some new locations and plot points that needed hammering and polishing, but at this point things are looking pretty good. Book 5 should clock in around 40-45 pages long and I'm targeting the end of September to be done. Part of the reason for the later September date is that the month of August is being largely lost to unproductive time. I had two conventions to deal with, the Boston Comic Con that was this past weekend(and awesome as usual!) and then the Baltimore Comic Con coming up September 2-4. Wedged in between them is a family vacation where I can't bring my drawing table so I'll be reduced to pencils and layouts for a bit. The last month was the start of Book 5! 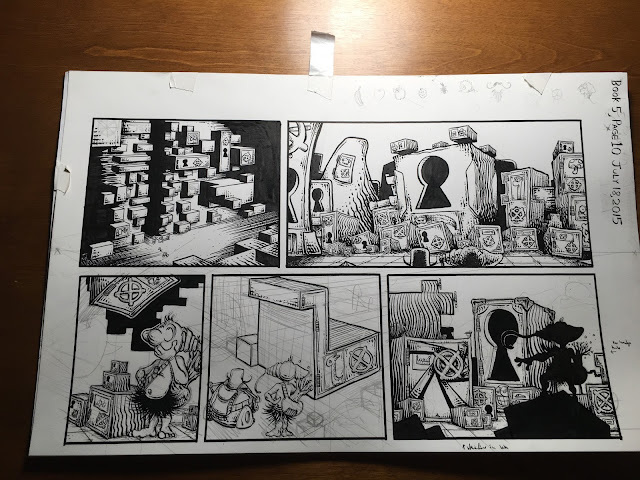 The first 6 pages are inked and scanned in and I'm burning through pages 7-9 as I type( I work in bundles). It's a bit slower of a start than I'd hoped but solid nonetheless! Hopefully over July I crank through a lot of pages. In other news Heroes Con was this past month in Charlotte, NC. I'd never been and heard good things. It was a solid show and certainly worth going back to, and there was some tasty food too:) Not sure it can be an annual trip because of the expense, but could be fun to do alternate years! The Boston Comic Con is coming up August 12-14, my next likely destination. That's my local show so I should have comics, trade, prints, and all the other goodies. OK, so there's some big news! I've decided to take another year off from the day job to finish the series! Books 5-7 are coming over the next 12 months! To help start with, I'm launching a Kickstarter to raise some funds to cover printing costs. 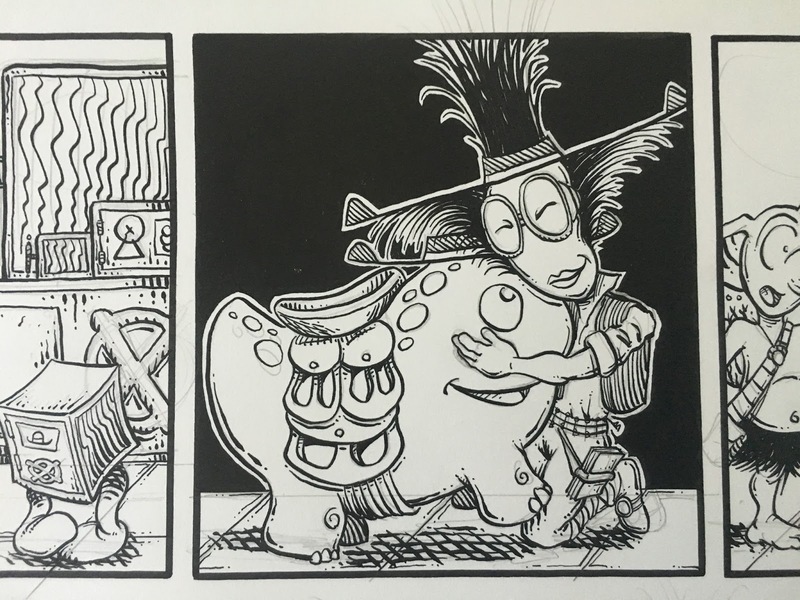 Lots of great unique rewards like original pages of art, stuffed Farlaine dolls, first printings of Book 1, and more! Loads of great choices to support the book. Wow, it sure has been a long time since I updated the site! Sorry about that! I'd meant to a few times and either got distracted with something else or posted to Facebook instead. Oops! I spent much of the fall dealing with the release of Farlaine the Goblin ~ Book 4: The Twistlands. With juggling a day job it takes longer than expected to deal with the legwork. I hit a few conventions, sent tons of copies off to be reviewed, and tried my best to get Farlaine in front of as many eyes as I could. In the end there were more reviews for Book 4 than any of the others, and it was positive across the board with a few really great ones. 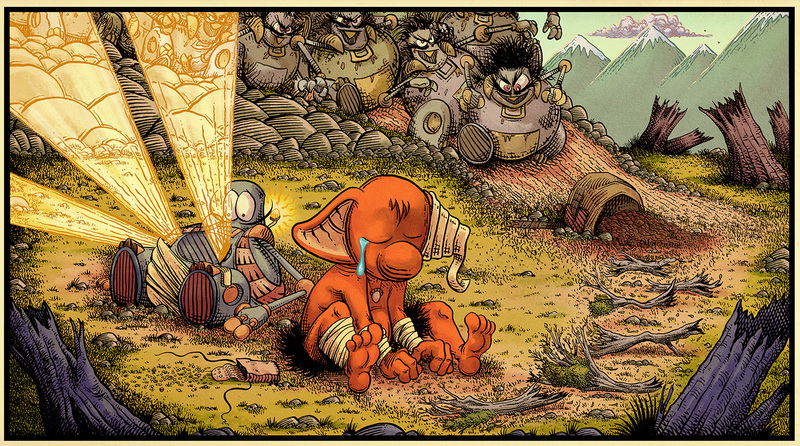 My favorite might have been Graphic Policy who said "Farlaine The Goblin #4 is, in all honesty, and without any exaggeration, probably the best comic I’ve read all week.". Woohoo! A few of the others were equally glowing, and all are linked from the Reviews & Press section of the site! The last month has been spent on a fun little side project with someone who wanted to pitch Farlaine as an animated series. We needed to put together a show bible, so a lot of time was spent on getting that set, boiling down the plot, digging into the backstory, adding some new characters and drawings, and hammering out some of the future plot wrinkles that hadn't been put down on paper yet. It seems a longshot for anything to come of it, but why not try?